The story of CUPOLA SANCTIS collection starts with three wines made in limited editions: Sfântul Gheorghe /Saint George/, Sfântul Dumitru /Saint Demetrius/ and Sfânta Ana /Saint Anne/. 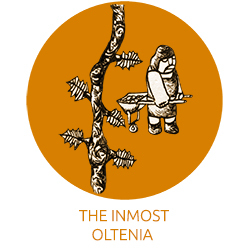 The aim of the demarche was to pay reverence to the deepest and most intimate feeling encountered in Inmost Oltenia: the faith. We wanted to put on the table, on holidays, piously-made wines, offering each of them a resemblance with its patronymic saint: a bit of Dragon Killer’s rigour and sternness, something of Myrrh-streamer’s kindness and bounty or a drop of the grace the Mother of the Blessed Virgin is praised for. But later on, we have happily realized that people equally enjoy each name day, that one or another saint’s holiday is always equally kept, standing for an extra occasion to celebrate life and the gifts offered by divinity. Not only the celebrated gather up, but all the people they get to like. Cupola Sanctis wines are author's creations, signed by Liviu Grigorică and Veronica Gheorghiu, bottled in small series. Each individual bottle has a special label representing one of eleven Orthodox Saints and the 12th bottle evokes the Annunciation under the title of Vestitor, an authentic creation by Ciprian Paleologu. A range of perfect wines to be offered on special occasions.